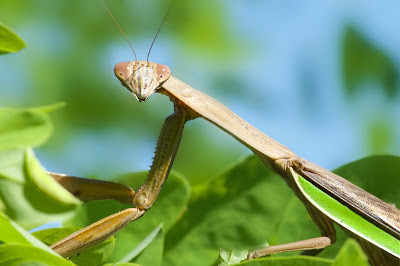 I had a mission to find a Praying Mantis in Valley Forge today. Lots of egg sacks were laid last year at Paulings Farm. I drove there today, walked down into the lower field and searched the tall grasses and voila - There he or she was. Just magnificent. These are such cool insects.